If you are visiting India and have not visted the New Delhi, Agra and Jaipur then you have missed the soul of India. These three cities are a beautiful amalgamation of history, culture, heritage, food and colours. 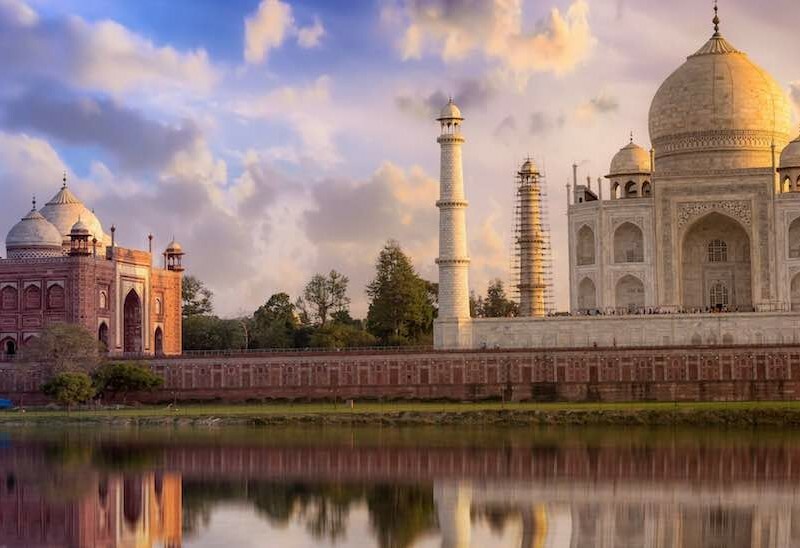 This trip is also popularly know the the Golden Triangle and indeed it is as they represent a golden era of Indian ethos. Rajasthan’s jewel in the crown is its vast and untamed desert. 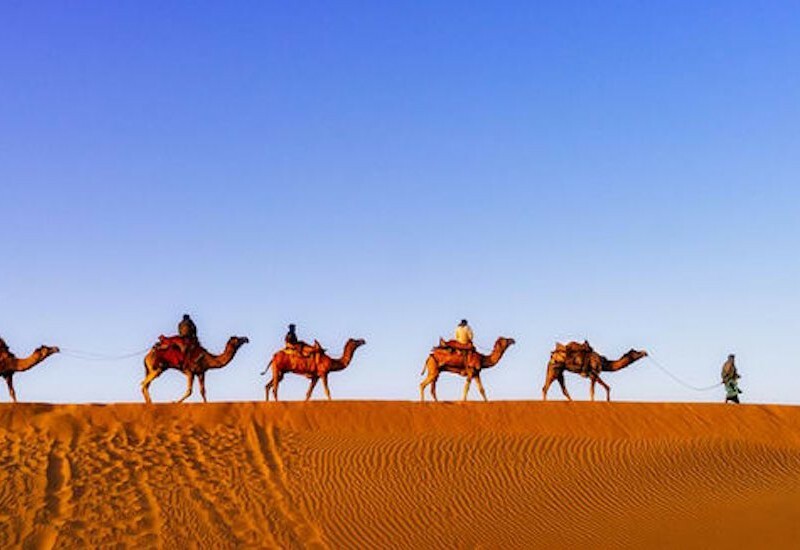 The journey across the gateway towns of Jaisalmer and Jodhpur into the shimmering sands of Thar Desert takes you through desert forts and temple ruins, remote villages and colorful markets, countless camels and rare sights of the black buck running wild. Journey through Rajasthan, the Land of Princes, is steeped in legends and mystery of bygone heroes and timeless culture. Set amidst the Aravalli Hills, Rajasthan is enveloped by the natural wonders of the Thar Desert, and dotted with surreal lakes, majestic forts and palaces, multihued cities, pristine villages and wildlife. Revel in vivid shades of Jodhpur’s blue-walled cityscape or take a holy dip at waterside ghats in Pushkar. 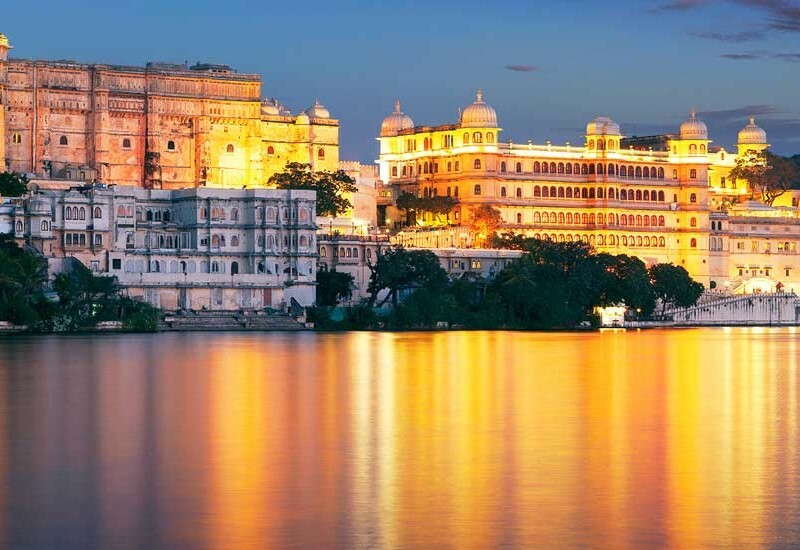 Explore the bustling old markets in modern pink city of Jaipur or admire the illuminated palaces of Udaipur as the sun sets at the banks of Lake Pichola. Get inspired by the grandeur of the sand castle of Jaisalmer or sight a peacock dancing in Ranthambore National Park. Rajasthan almost overwhelms the senses with a truly incredible travel experience. 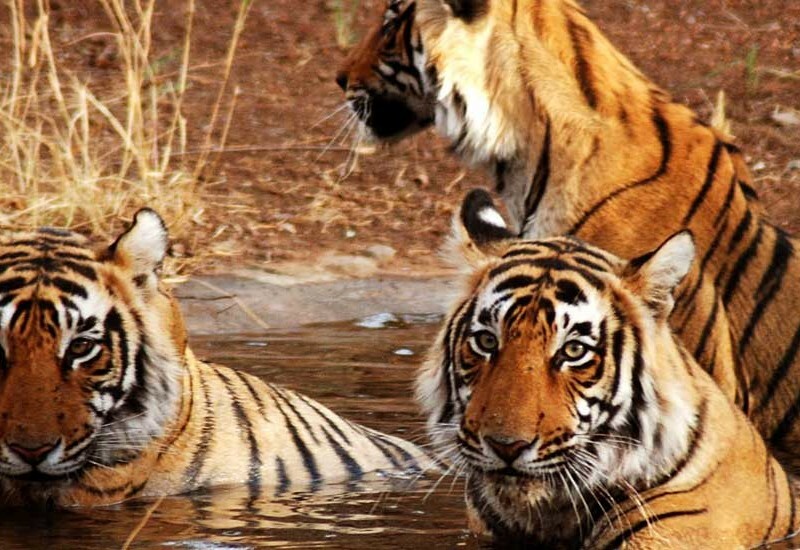 Ranthambore National Park is located in Sawai Madhopur, about 130 kms from Jaipur. It is one of the biggest and most renowned national park in northern India where you can see the majestic tigers in their natural habitat, they can be easily spotted even during the daytime over here. The sanctuary is home to variety of flora and fauna, some of the major wild animals which are present in this sanctuary are leopards, nilgais, wild boars, sambars, hyenas, sloth bears, grey langur, rhesus macaque and chital. One of the largest banyan trees in India can be found here. Jaipur is known for its magnificent architecture and it is also the first planned city of India. The buildings here are made with pink-painted sandstone because of which it is popularly known as the Pink City. Jaipur’s rich cultural heritage is evident in its traditions, customs, lifestyle, art and architecture. This city witnesses various fairs and festivals at different times of the year. Some of the festivals celebrated here are Gangaur festival, Jaipur Literature festival, Kite festival, Teej festival, Shitla Mata Fair, Chaksu Fair, Chhat ka Mela in Amber during Navratri. During the festive season this colourful city becomes even livelier and it is an enriching experience to be a part of all the celebrations. 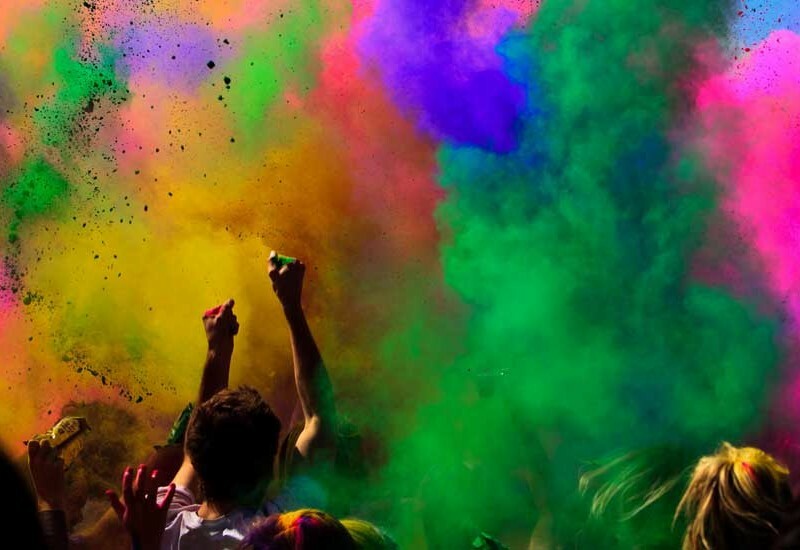 Holi, the Indian festival of colours is very popular in the northern part of India. And it is often said that if you want to experience the true spirit of this colourful festival then there is no other place more appropriate to celebrate it other than the land of colours itself – Rajasthan. Come join us in Jaipur, the capital city of Rajasthan this Holi and experience one of the most memorable time of your life. The city of Jaipur was founded in 1727 by Jai Singh II, the Raja of Amer who ruled from 1688 to 1743. 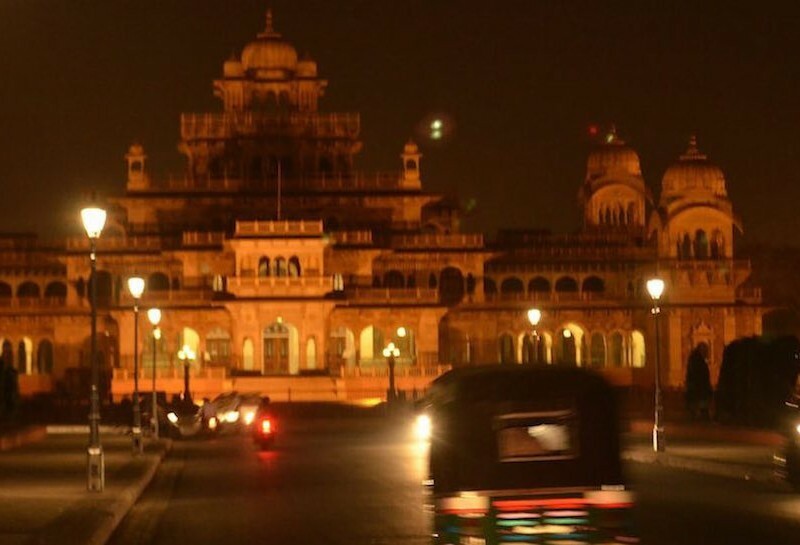 During the rule of Sawai Ram Singh, the city was painted pink to welcome Prince Edward VII. Most of Jaipur is still pink, due to which it’s known as the Pink city. Jaipur is a magical city which has so much to see and explore. 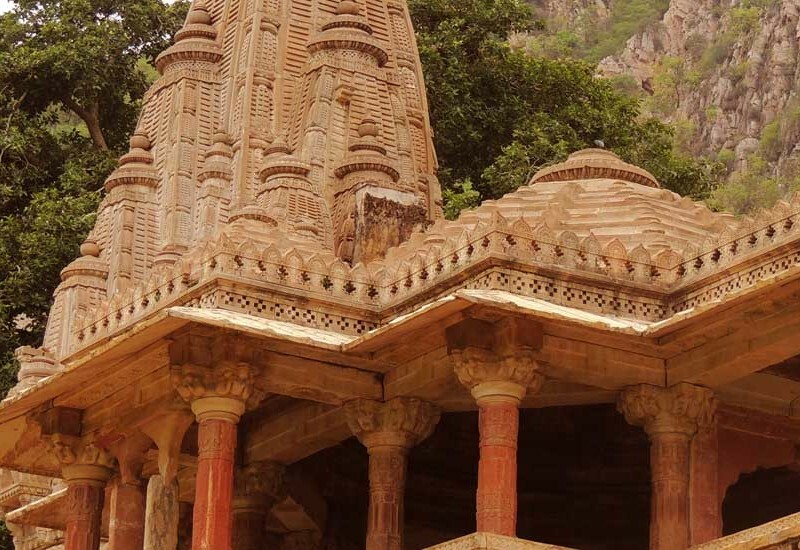 There are innumerable forts to visit, ancient ruins and temples to explore. 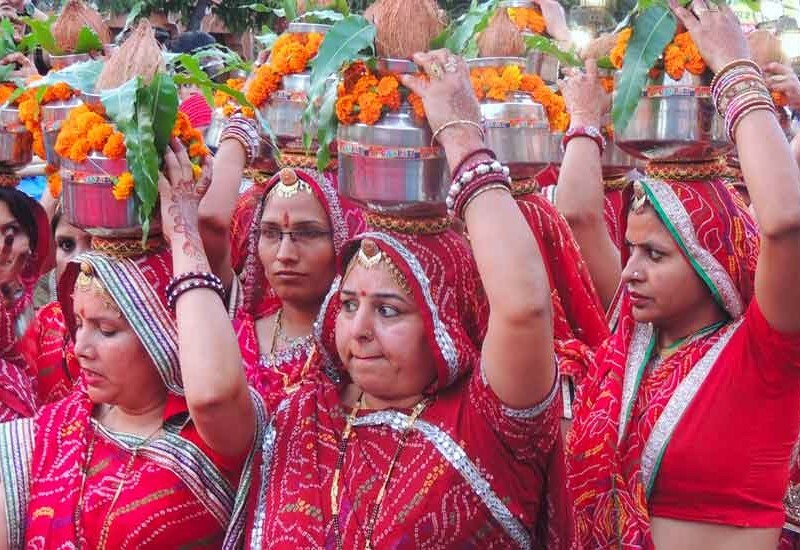 Mewar Festival marks the advent of spring. This festival is an integral part of the culture and tradition of Udaipur. People all over Udaipur take part in this festival and celebrate it with much enthusiasm. The city is at its colourful best during this time. 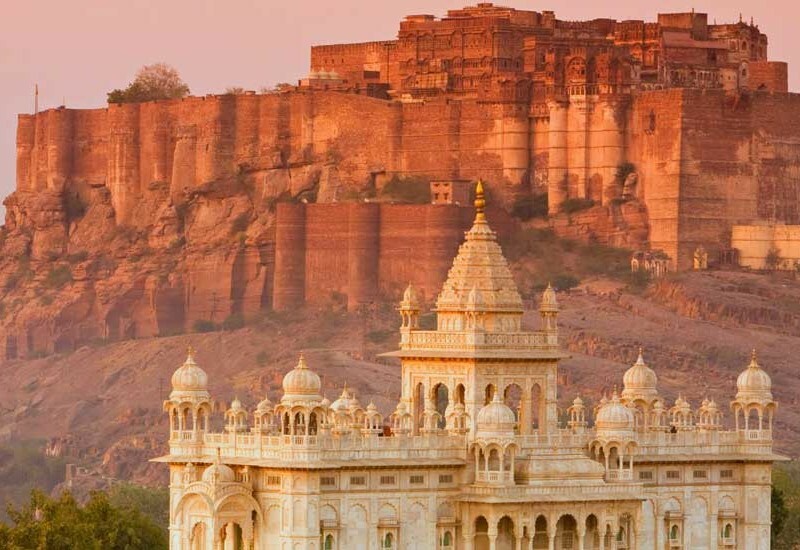 Jodhpur or the blue city as it is popularly known was founded by Rao Jodha in the mid-1400s. The city acts like a time machine and transports you back in time. It still houses the numerous step wells, ancient temples, historical havelis and not to forget the enchanting blue houses from the medieval era.